All agencies are quietly being armed just in case there may be civil unrest which arises by rigging the election to defeat Donald Trump. Even Ben Carson has come out and explained why Trump beat everyone in the Republican field: “the people themselves have just gotten disgusted with being manipulated and controlled”. There is no question that we have entered a new age post-2015.75 that is one of betrayal and deception. Many people assume that Obama would never declare martial law and that the proposition is simply a conspiracy theory. This is simply not true. Martial law in the United States has been declared several times, so it is by no means off the table. 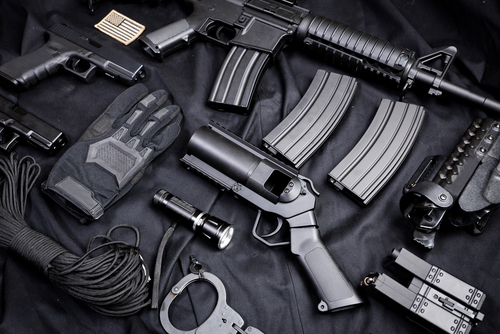 The martial law concept within the United States legally is very closely linked with the right of habeas corpus, which has been suspended and reduced in many cases over the years. That is why they keep Guantanamo open for if they are not on US soil, they cannot file a habeas corpus. Effectively, the right to a hearing on “lawful” imprisonment is embodied in the essence of habeas corpus that is under the supervision of law enforcement by the judiciary, which of course has been stacked with pro-government judges. The constitutional ability to suspend habeas corpus is related to the imposition of martial law. Under the Constitution, Article 1, Section 9 states; “The Privilege of the Writ of Habeas Corpus shall not be suspended, unless when in Cases of Rebellion or Invasion the public Safety may require it.” There you have the authority to suspend the law if there is a “rebellion” based upon civil unrest that is political in nature. Obama can also claim “public safety” is at stake if Trump supports riot. Back in 1878, Congress actually passed the Posse Comitatus Act, which forbids military involvement in domestic law enforcement without congressional approval. Of course, both the elite Republicans are for Hillary as are the Democrats. So Obama would have no problem using the military on the streets. Moreover, arming all the civil agencies is an exception, for they are not in the military. Why was this act even passed? There are several examples of the imposition of martial law, in addition to the most obvious being the Civil War. For example, the Whiskey Rebellion was met with a military forced led by George Washington himself. 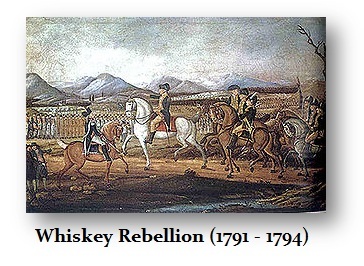 The Whiskey Rebellion was not a declaration of martial law. It was simply the outright use of the military against civilians. We should also not forget the use of the military against the veterans of World War I known as the Bonus Army. There was no hesitation to even use tanks against citizens and you are only talking about 1933. That is likely to be seen again after the next 8.6 year peak probably in 2026. These acts are not tantamount to a declaration of martial law. Congress could authorize the military to be called out once again and used to kill Americans without a declaration of martial law. They just do it. There is no appeal from death. The right to habeas corpus would not be implicated if they are killing citizens rather than incarcerating them. Consequently, the distinction must be made as very clear as that Obama need not even declare martial law to call out the troops to put down civil unrest. Only if they were to imprison them would the right to habeas corpus be implicated. If there were to be interment camps, then there would be a legal need for pretense and that would be martial law and military justice. Therefore, simply the deployment of troops does not necessarily mean that the civil courts cannot function, and that is one of the keys, as the Supreme Court noted, to martial law. 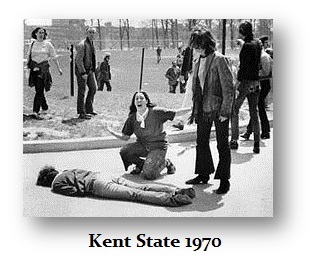 The can even call out the National Guard, and they too can still kill people as took place during the protests at Kent State back in 1970. During the War of 1812, then US General Andrew Jackson imposed martial law in New Orleans before the Battle of New Orleans. Jackson imposed martial law in a four-mile radius around the vicinity. So yes, martial law can be declared for a specific city without the entire nation. The Andrew Jackson French Quarter Hotel in New Orleans was the federal courthouse at the time. On December 16, 1814, Jackson declared martial law in the city of New Orleans. All persons who entered or left the city were required to report to General Jackson’s office. Jackson maintained martial law in the city after the British were defeated on January 8, 1815. Nevertheless, on March 3, 1815, Louis Louaillier, who was a member of the state legislature, anonymously wrote an article in the newspaper criticizing General Jackson for maintaining martial law. Jackson discovered Louaillier’s identity and ordered his arrest. A writ of habeas corpus to release Louaillier was granted by Judge Hall. In response, Jackson arrested Judge Hall and imprisoned him with Louaillier. Later, Jackson banished Judge Hall from the city until either he received “official” notice that the peace treaty had been ratified or the British left the Southern coast. When the Treaty of Ghent had been ratified, Jackson then terminated martial law releasing and pardoning all prisoners. Judge Hall then returned and ordered Andrew Jackson to appear in the courthouse. Jackson complied and appeared in civilian attire. Judge Hall denied Jackson’s request for a jury trial and found Jackson guilty of contempt of court fining him $1,000. Jackson paid the fine to Judge Hall. 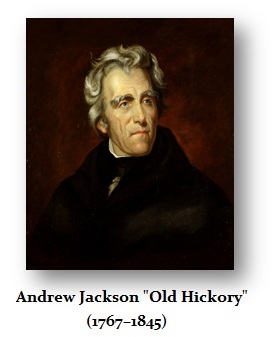 After Jackson had been President, Congress ordered that the fine be repaid to Jackson with interest $2,700. Abraham Lincoln imposed martial law on his own authority on April 27th, 1861. Another act-that of March 3d, 1863, relating to habeas corpus, and regulating judicial proceedings in certain cases was passed. Then on September 15th, 1863 President Lincoln imposed Congressionally authorized martial law, which allowed the suspension of habeas corpus throughout the entire United States. Lincoln imposed the suspension on “prisoners of war, spies, or aiders and abettors of the enemy,” as well as on other classes of people, such as draft dodgers. The President’s proclamation was challenged in Ex parte Milligan, 71 US 2 (1866). The Supreme Court ruled that Lincoln’s imposition of martial law by suspending habeas corpus and subjecting citizens to military tribunals when civilian courts were still operating was unconstitutional. So in other words, unless you suspended the courts and constitution entirely, you could not suspend just habeas corpus, the right to be heard. But this offers little aid for the government can do whatever it likes and then it is your burden to challenge it all the way through the courts, which will take years. Then there was the day Chicago burned, known as the Great Chicago Fire of 1871. Chicago mayor Roswell B. Mason declared a state of martial law and placed General Philip Sheridan in charge of the city on October 9th, 1871. After the fire was extinguished, there were no widespread disturbances and martial law was lifted within a few days. This was not challenged so it remains questionable if just a mayor could declare martial law. There is precedent for a governor declaring martial law as well. Back in 1892, in the famous mine at Coeur d’Alene, Idaho, there were striking mine workers who blew up a mill were shooting at strike-breaking workers. The explosion was huge for it leveled a four-story building killing one person. The governor then declared martial law and sent in the national guard requesting federal troops to back them up. Over 600 people were arrested in total, but only about two dozen ringleaders were put on trial in a military court. Following the great earthquake of 1906, the federal troops stationed in the Presidio were called out into martial law service. They were stationed throughout the city, and all dynamite was confiscated to be used in destroying buildings in the path of fires. That was certainly a limited martial law and not applied to the entire nation. Hence, there is precedent for the limited use of this provision. The deadliest union strike in the American history is known as the Coal Field Strikes of 1913-1914, which began when the United Mine Workers of America organized the southern coal field workers. This was a major labor uprising, which became the Ludlow Strike that ended in a massacre. 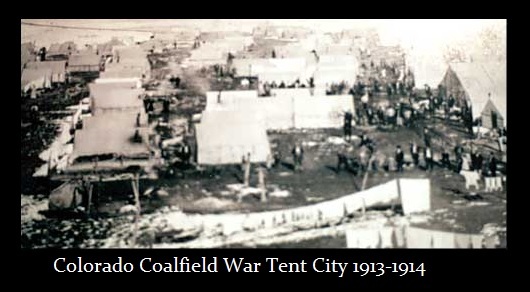 The Colorado National Guard attacked a tent city occupied by about 1,200 striking coal miners and their families. In retaliation, the miners armed themselves and attacked dozens of mines over the next ten days, destroying property and engaging in several skirmishes with the National Guard along a forty-mile (64 km) front from Trinidad to Walsenburg. Between sixty-nine and one-hundred-ninety-nine people died during the strike. It was described as the “deadliest strike in the history of the United States”. Another union strike in 1914, imposition of martial law climaxed the so-called Colorado Coalfield War. Dating back decades, the conflicts came to a head in Ludlow, Colorado in 1913. The Colorado National Guard was called in to suppress the strikers. It was said that thre troops became more loyal to the mines a clashes began to increase. Then a declaration of martial law was made by the governor, which then resulted in the troops simply killing the miners with their families. This became known as the Ludlow Massacre. 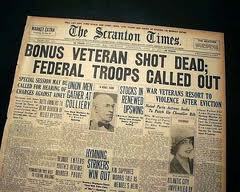 President Wilson had to send in federal troops to end this war against the governor and his national guard. Similarly, in West Virginia Coal Wars also broke out between 1920 and 1921. Again martial law was declared in the state of West Virginia on the direction of the governor. Federal troops were dispatched to Mingo County to confront the striking miners. They took authority using the Suspension Clause of Article I of the Constitution but it was applied to only jailed union miners and nobody else. They outright forbid the First Amendment right to assembly. Any union miners were immediately imprisoned resulting in overcrowded jails. The miners were being arrested without any sort of trial. After some time, the trial of Sid Hatfield brought everything to a head. The battle had made Sid Hatfield a celebrity for he was was Police Chief of Matewan, West Virginia. He had appeared in a short film, Smilin’ Sid, for the United Mine Workers (UMWA), and was photographed with other activists but was not a miner himself. The mines had their own people who would kill strikers and were never prosecuted. A military occupation has made the governor a effective dictator. Smilin’ Sid was eventually just assassinated by the mine’s guards and over 3,000 people attended his funeral. The governor still refused to relase many miners from jail and this would become known as the West Virginia Mine War. The next use of martial law came in 1921 and the bottom of the economy following the Panic of 1919. This time it was a race riot provoked by KKK members in Tulsa, Oklahoma. The governor declared martial law calling out the National Guard. This event was alleged to be a state government and local office who conspired to wipe out Black Wall Street using bombs. The phone lines were cut so that no one could call for help and many blacks were forced to flea seeking help, but they were killed on the spot. In 1934, the Governor of California Frank Merriam placed the docks of San Francisco under martial law because of a dock worker’s strike. The Governor threatened to place the entire city under martial law, but he restricted it using the National Guard to open only the docks. The guardsmen arrested people, but turned them over to the civil courts. Therefore, while this was “officially” declared to be martial law, it did not involve the full suspension of civil rights or habeas corpus. The longest martial law was declared between 1941 and 1944 for the most of the duration of World War II in the Territory of Hawaii before it was a state. The martrial law was declared December 7th, 1941 with the attack on Pearl Harbor and lasted until October 24th, 1944. After the war, the federal judge for the islands condemned the conduct of martial law stating that “Gov. Poindexter declared lawfully martial law but the Army went beyond the governor and set up that which was lawful only in conquered enemy territory namely, military government which is not bound by the Constitution. And they … threw the Constitution into the discard and set up a military dictatorship.” Again, federal courts will not defend a citizen against the government to prevent a harm. It will address it only after the fact if you are lucky. The Supreme Court upheld the Constitutionality of Japanese Internment only on December 18th, 1944. The Court held in Korematsu v. United States 323 US 214 (1944) that the wartime internment of Japanese-Americans was constitutional in a 6-3 decision, which had been imposed simply by an of Executive Order 9066. All of Roosevelt’s appointed justices sided with the government while the lonely Republican, Owen Roberts, dissented. It then ruled in a meaningless exercise of word-smithing, in a separate decision, that loyal citizens must be released. The decision in Korematsu was so controversial among legal scholars, Korematsu’s conviction for evading internment was overturned finally on November 10th, 1983. President Harry S. Truman also used an Executive Order putting America’s railroads under the control of the U.S. Army on August 27th, 1950, at 4:00 pm. Truman had previously intervened in another railway dispute against union employees of the Chicago, North Shore and Milwaukee Railway Company when they threatened to strike in 1948. However, with the 1950 strike, Truman’s intervention was viewed as very critical since American troops went to war against North Korean communist forces in June 1950. At that time, the national economic and defense infrastructure was dependent upon the railroads. The 1950 strike, therefore, posed a major threat to the war effort. In July, Truman ordered the formation of an emergency board to negotiate a settlement between the railroad unions and owners but the unions rejected any compromise. By August 25th, the unions were poised to strike. Truman made a public statement insisted that “governmental seizure [of the railroads] is imperative” for the protection of American citizens as well as “essential to the national defense and security of the Nation.” He used the same justification for seizing control of steel plants when the United Steel Workers union struck later in the year. Of course there were the race riots of the 1960s starting with the Harlem Riots in 1964 which started with a police officer killing a young black boy in Harlem. The violence continued for four days and began to spread to other neighborhoods such as Bedford-Stuyvesant in Brooklyn, where shooting, looting and arson was widespread. Then there was the Watts Riot of 1965 again when police used excessive force while arresting a black man for drunk driving. When a police officer accused a woman of spitting at him and tried to arrest her, the riot began. The rioters took to the streets with a vengeance and began overturning cars, and smashing windows of nearby stores and looting them yelling: “Burn, baby, burn!” The riot lasted for 2 days. The National Guard was called in and a curfew and martial law was imposed on Watts and on a surrounding area of 50 square miles. It took 13,000 Guardsmen to bring the rioting under control. This was followed by the Newark Riots of 1967, which erupted when police beat a black cab driver while trying to arrest him. Once again, the police used excessive force, and the city erupted into violence with looting, burning and shooting. The National Guard was called in to help restore order. This was then followed by the Detroit Riots of 1967 11 days later when police raided an after-hours bar and arrested 80 patrons. A crowd gathered outside and rocks were thrown at police cars, breaking their windows. The rioting increased and the rioters outnumbered police. A state of emergency was declared and the National Guard was called in to help the police. President Lyndon B. Johnson had to send in federal troops to help stop chaos. The incidents of riots, state of emergency, and martial law tend to also follow the 8.6 frequency. The year 2014 was on target using this frequency from the Vietnam protests and Kent State. This should escalate now into 2018.